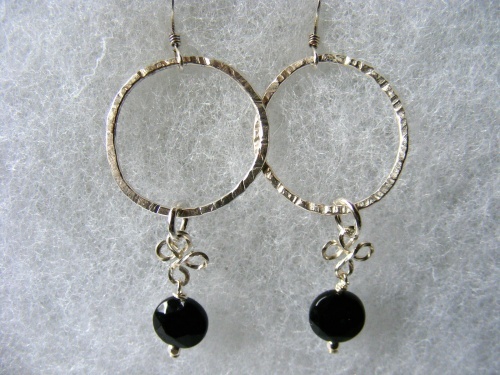 This pair of earrings is made with sterling silver hand hammered circles with a small clover like design and a faceted onyx bead. Very elegant yet simple, can be worn dressy or just hanging around. Measure 2 1/4" long from top of wire to bottom and 1" wide.